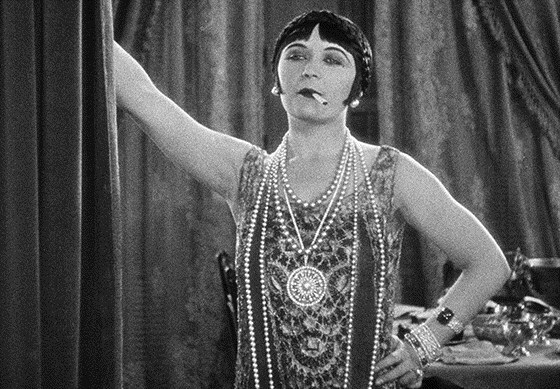 Pola Negri relishes her role as Countess Elnora Natatorini who shows up at the doorstep of her Midwestern American relatives to escape decadent European alliances. Tickled pink to host nobility, the family and its small-town neighbors are nonetheless scandalized by their sophisticated visitor, who drinks and smokes and flirts outrageously—and then there’s the matter of her tattoo! Based on Carl Van Vechten’s novel The Tattooed Countess, A Woman of the World provides Negri with the opportunity to send up her own star image with a saucy wit. A Woman of the World was preserved by the Paramount Archives in 4K using a 35mm dupe negative graciously loaned to Paramount by the Museum of Modern Art.